Friday: Who Gave North Korea Nukes In The First Place? And the Hypocrisy of the National Association of Broadcasters. 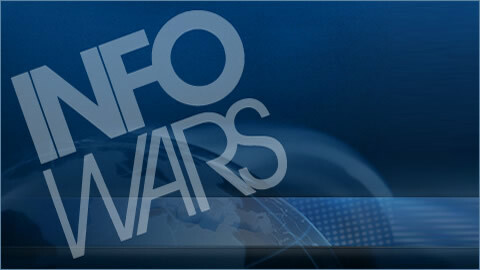 On the April 12,2013 broadcast of The Infowars Nightly News, David Knight speaks with Infowars reporters Jon Bowne and Marcos Morales about the hypocrisy of the National Association of Broadcasters. Treason Alert: Dems Try to Move Gun Bill Forward Without Allowing Senators to Read It. Five Gun Amendments to Watch. U.N. report covers up Obama role in arming terrorists. Hacking airplanes & your mind. Hacker uses an Android to remotely attack and hijack an airplane. A Harvard Neuroscience Scheme To Change Decisions In Your Brain. MEDIA BIAS IN PHIL ABORTION TRIAL. PHOTO: EMPTY 'RESERVED MEDIA SEATING' AT ABORTION DOC GOSNELL'S MURDER TRIAL. Link: Who Gave North Korea Nukes In The First Place? Tags: 1st Amendment, activists, all seeing eye, Beaver, Bill of Rights, globalism, Gun Ban, Gun Confiscation, gun control, gun laws, guns, Kim Jung Un, mainstream media, Military, North Korea, tyranny, U.N..